APEX1 antibody recognizes apurinic/apyrimidinic endodeoxyribonuclease 1 also known as AP endonuclease class I, AP lyase, deoxyribonuclase, protein REF-1 or redox factor-1. Mouse anti Human APEX1 antibody recognizes apurinic/apyrimidinic endodeoxyribonuclease 1 also known as AP endonuclease class I, AP lyase, deoxyribonuclase, protein REF-1 and redox factor-1 . 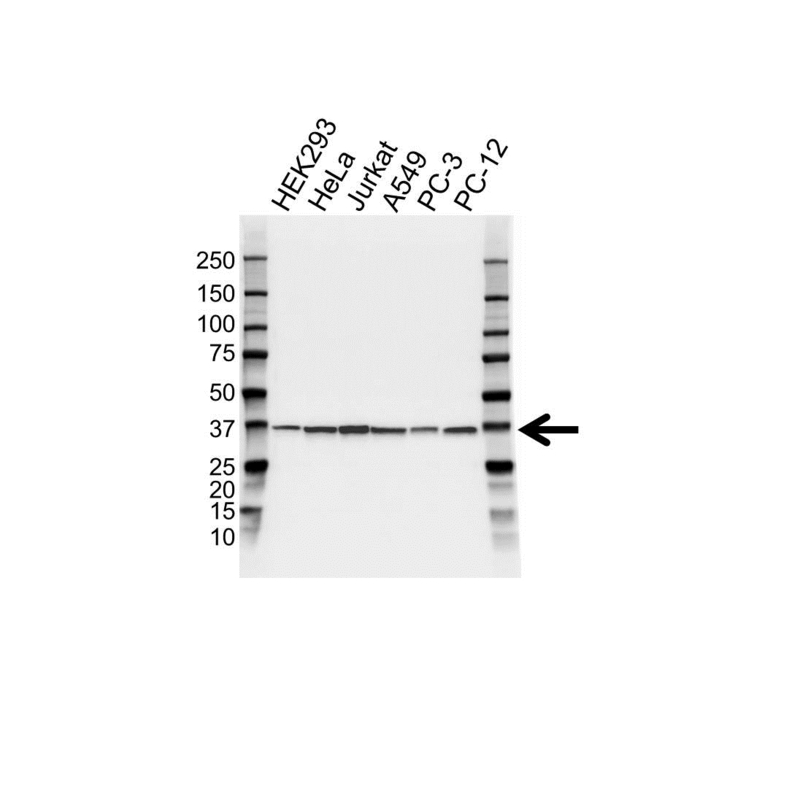 Mouse anti Human APEX1 antibody detects a band of 34 kDa. The antibody has been extensively validated for western blotting using whole cell lysates.